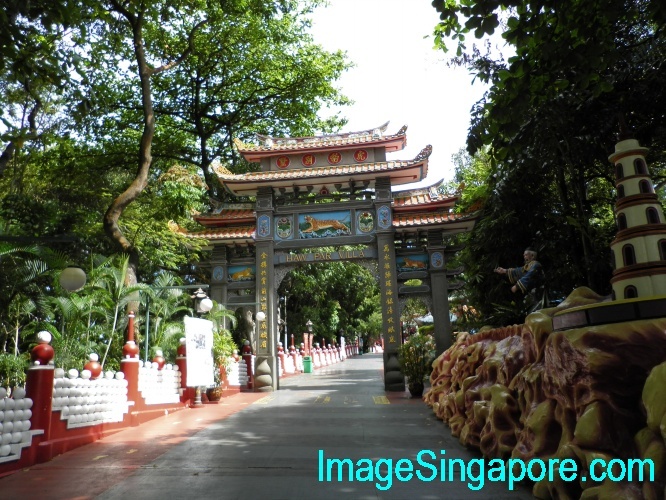 I took a trip to Haw Par Villa with my friend on a weekday afternoon. 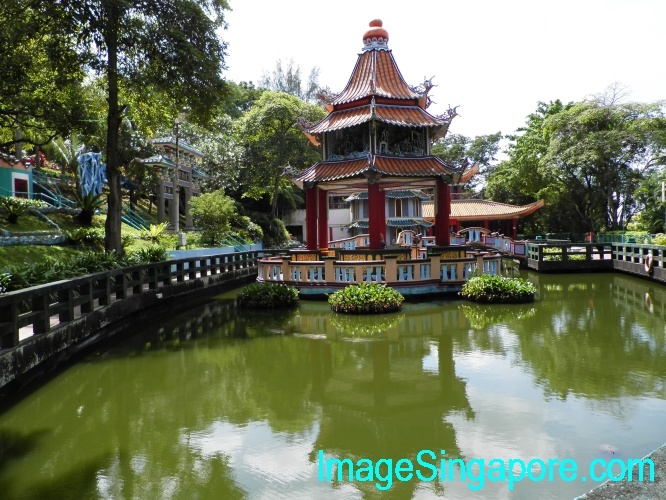 Nowadays it is easy to go there -simply take a MRT train and alight at Haw Par Villa MRT. Get out of the train station and turn right. 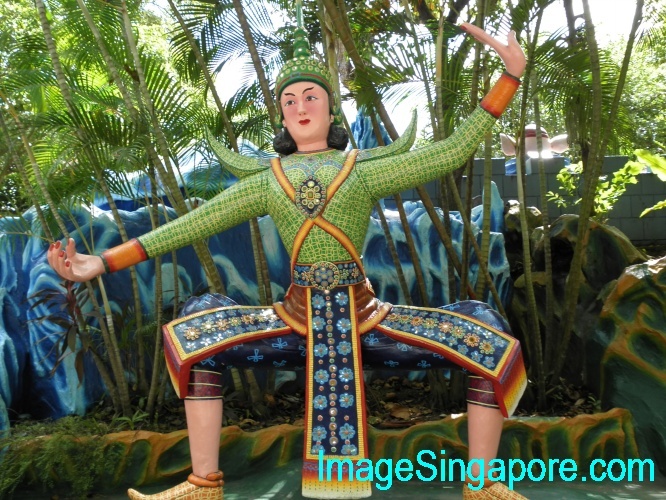 The Haw Par Villa is just a few minutes walk away from the train station. 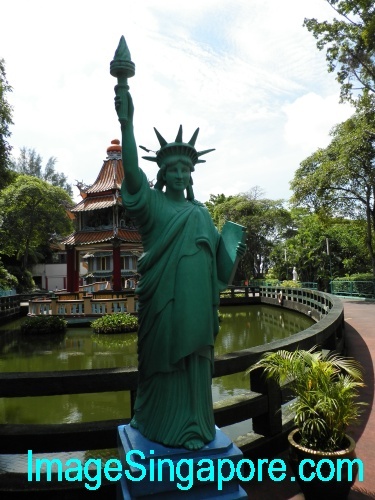 The good thing about going to this Chinese theme park is that it is totally free – no entrance free to pay. 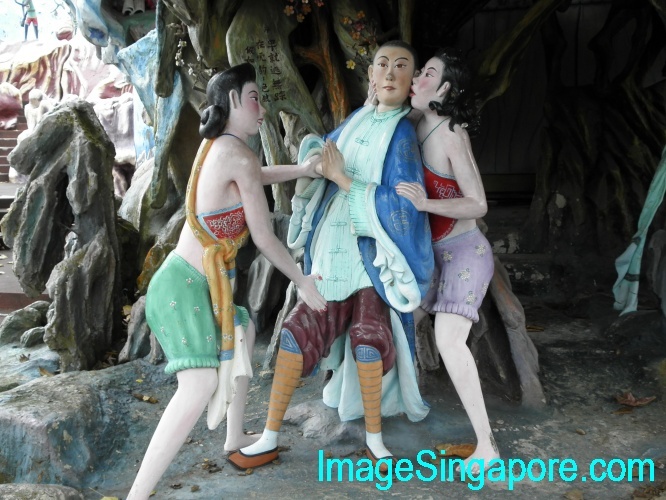 This theme park is the only one in Singapore or in fact in Asia with more than 1000 statues and 150 huge dioramas depicting Chinese mythology, the famous Journey to the West scenes and the scary 10 Courts of Hell. Other statutes and dioramas may not make sense like the Statue of Liberty, a huge gorilla, koala bears, lady in clam shell, old man sucking on a lady breast? 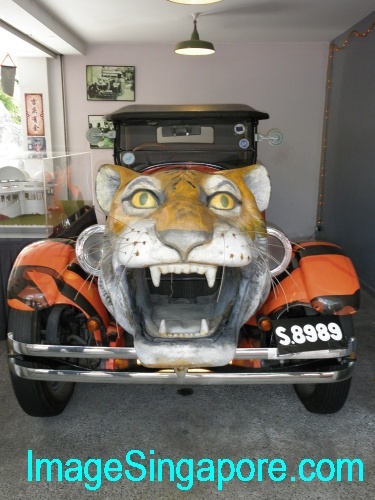 ?, a vintage car with the tiger’s head, etc. My first impression was that this place really need a good maintenance and upgrading work as it looked worn out. Dried leaves scattered all over the ground, the pond was filled with dark greenish water and many statues have the worn out appearance; but I saw a few workers doing some painting and maintenance work on the statues. Even though there is no entrance fee, it was very quiet when I was there; there were hardly any visitors. It was hot and humid on that day and luckily I brought along sun shade and 2 bottles of mineral water. 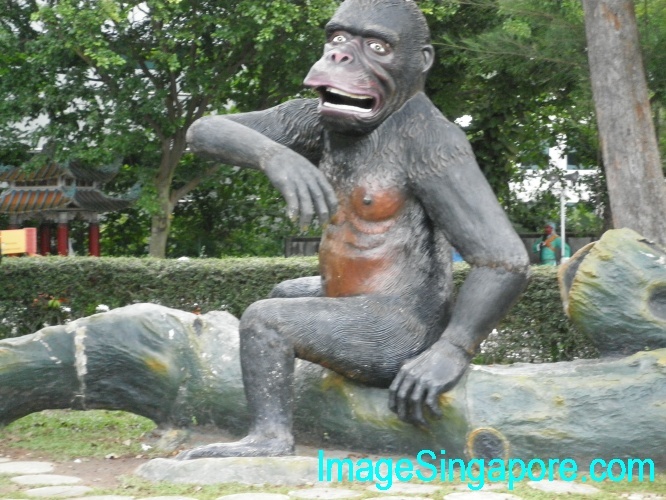 I find Haw Par Villa a very unique and interesting Chinese theme park. 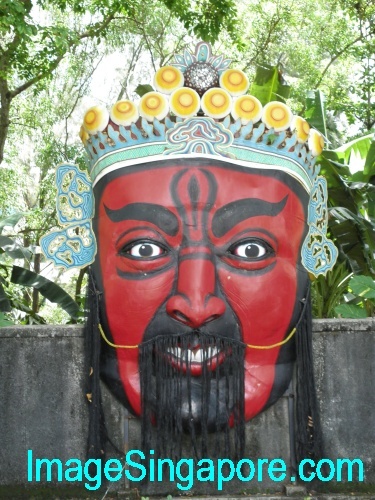 Lots of bizarre and unusual statues; a riot of colors everywhere and there were lots of stories about filial piety, doing good and punishment for evil deeds. In short, this theme park really has its own unique character and charm. The 10 Courts of Hell is a must see – though it is advisable not to bring little kids along if they are afraid of statues depicting gruesome violence and blood. My friend told me that the scenes depicted in the Courts of Hell are too extreme and violent. Perhaps the message is simply to tell people to be good and do good deeds. 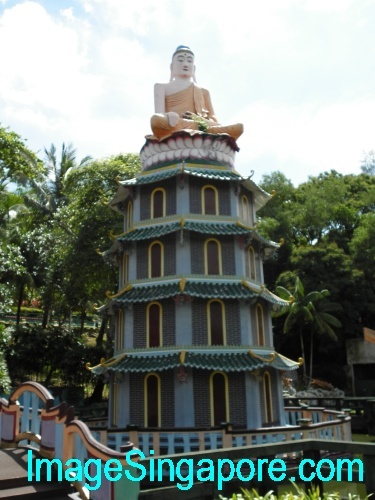 I took about 2 hours to complete the tour of the Haw Par Villa theme park. By that time, I was feeling very hot and slightly tired. There are plenty of benches around the park to rest but there was no cafe or canteen where visitors can buy drinks and food. 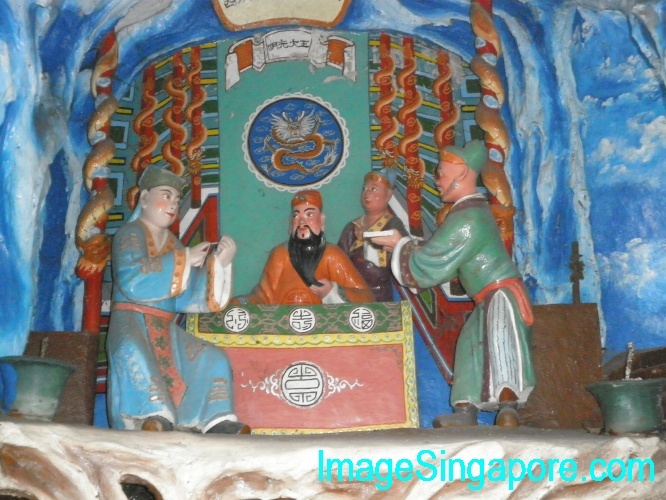 If you are visiting Singapore, the Haw Par Villa is worth taking the time to visit. 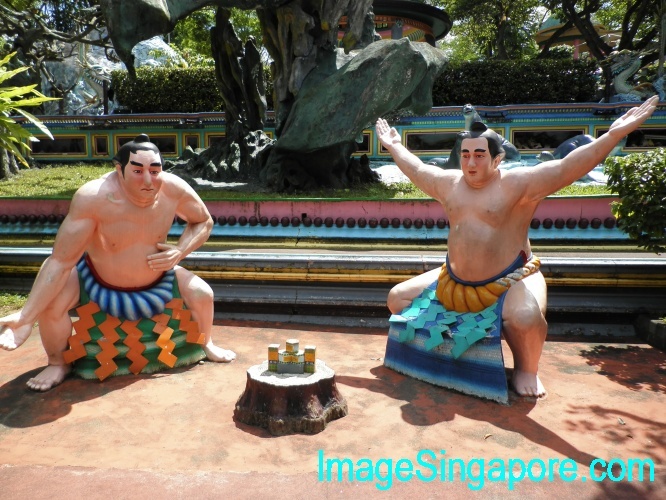 In fact, it is the most bizarre and colorful theme park that I ever have visited. Old Man sucking a Young Lady breast. No idea what is this all about. 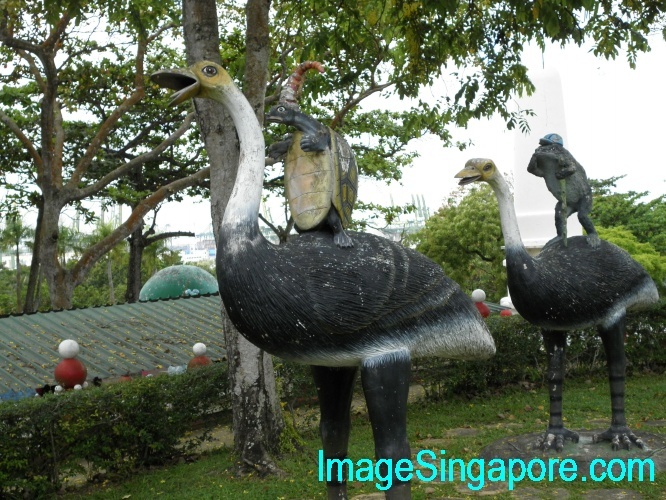 There is even a statue of a turtle and a frog riding on Large Birds at Haw Par Villa.